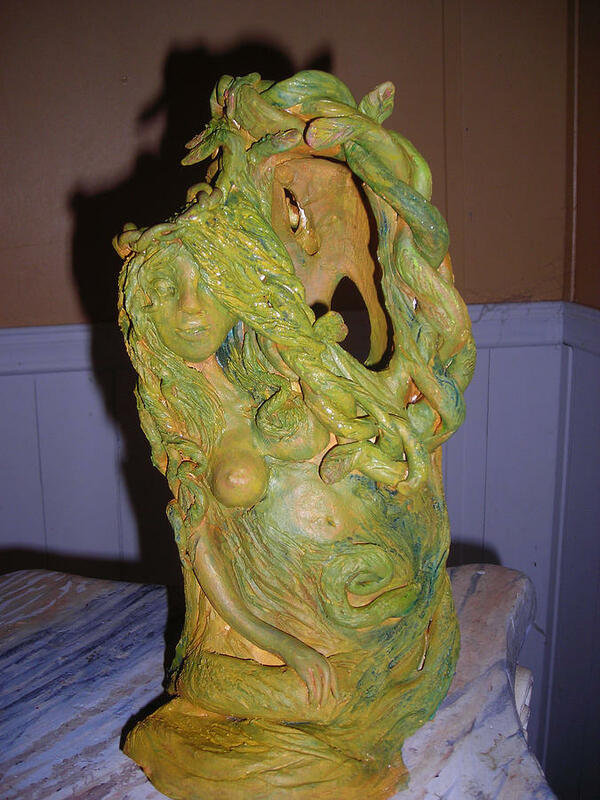 Tree Spirit is a sculpture by Diane Sellers which was uploaded on January 13th, 2010.
white clay,, depicting a girl transforming into a tree,, can be used as a candle votive..original ,,still for sale,,I make many Irish tree spirit sculptures all different,,email me for more info..angeliciousart@yahoo.com,,most sell quickly.. There are no comments for Tree Spirit . Click here to post the first comment.